In light of the recent shootings, in Newtown, Connecticut. New debates have been sparked on the idea of gun control and identification of potentially unstable individuals who could commit such crimes. An article on Science Daily website, School Shootings: What We Know and What We Can Do, highlighted some recent research studying past events and tragedies to accumulate a profile of potential shooters and how these individuals can be identified ahead of time. The article uses research by Dr. Daniel J. Flannery on explaining how shooters demonstrate similar features such as depression, low self-esteem, narcissism and a fascination with death. However these key aspects and similarities across shootings are not strong enough to produce conclusive profiles which could allow for future prevention of such tragedies. Other research has produced similar findings, Leary, Kowalski, Smith and Philips (2003) analysed multiple shootings between 1995 to 2001. They found that depression, low self-esteem and narcissism were all present in the individuals involved in the shootings. However they all also shared one more common attribute and that was social rejection. Social rejection alone cannot fully explain these acts of violence as most people navigate through life and at some stage are exposed to social rejection. However this social rejection coupled with psychological problems or a fascination with death may lead to acts of violence occurring. Unfortunately research in this area is inconclusive and therefore specific attributes and characteristics have not been idenitifed to put in place preventative measures to reduce the chances of such tragedies occuring again. 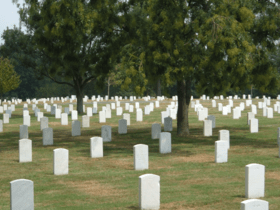 A recent (2011) report by Margaret Harrell and Nancy Berglass (“Losing the Battle: The Challenge of Military Suicide”) looks at suicide in the U.S. military. The U.S. military has seen an increase in suicide among its serving and former personnel, with suicide now killing more troops than enemy fire does. 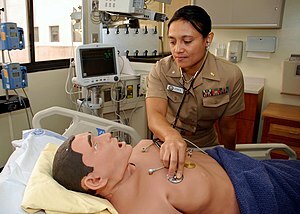 Junior enlisted personnel appear to be most at risk. Among U.S. veterans, it is estimated that there is one suicide death every 80 minutes and, although only 1% of Americans have seen military service, veterans account for 20% of U.S. suicides. 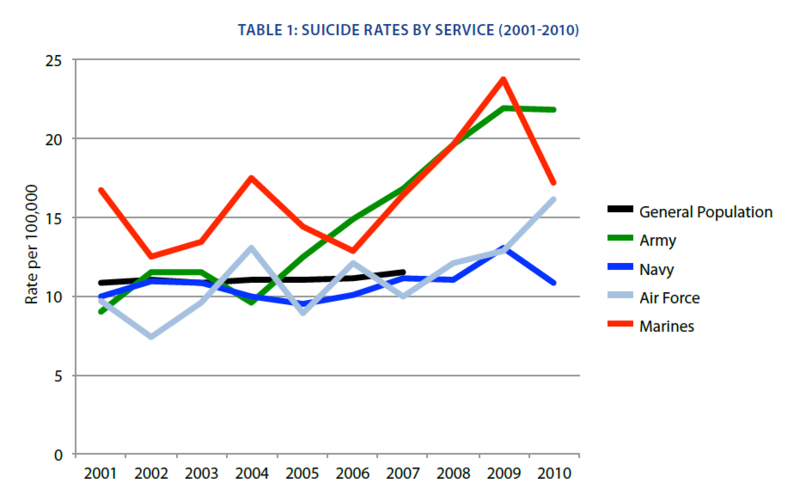 The U.S. Army in particular has seen suicides increase markedly since 2004. I’d been in and out of choppers now for months. And an Asian orange sunset through the scrub. And can you tell me, doctor, why I still can’t get to sleep? And why the Channel Seven chopper chills me to my feet? Harrell and Berglass make a number of recommendations to help address this suicide problem, including that the U.S. Army establish a “unit cohesion period” on return from deployment. Stress factors among soldiers include encountering dead bodies – and this is a stress factor which may also apply to troops on humanitarian relief missions. A 2003 book notes that “there is growing evidence that the stress of peace support operations can be as psychologically damaging as conventional warfare.” Given these stresses, addressing the problem of military suicide will require recognising post-traumatic stress disorder (PTSD) as a “real injury.” Various helpful recommendations for dealing with PTSD have also been made in the past. According to the Centers for Disease Control and Prevention (CDC) there are over 36,000 suicides in the U.S. each year (and almost half a million cases of self-inflicted injury). Risk factors include stressful life events and feeling alone – two factors common among post-deployment military personnel who have left their unit. Australian Defence Force (ADF) personnel appear to think about suicide more than the general community. According to one study, 3.9% of the ADF had suicidal ideation. However, comparing the 8 suicide deaths per year of ADF personnel against the 2,300 suicide deaths per year in the general Australian community shows that ADF personnel are slightly less likely to die by suicide than their civilian counterparts. This may indicate that ADF suicide prevention strategies are having some positive effects. Some of the recommendations from Harrell and Berglass also appeared in a 2010 U.S. Military Task Force report. That report highlighted in particular the need for reducing the stigma of soldiers seeking help, and for removing cultural and organisational barriers to doing so. 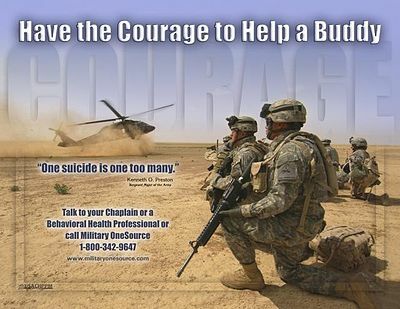 RAND has also produced a lengthy report on preventing suicide in the U.S. military. In its July 2012 special issue on the topic, Time Magazine printed some helpful advice for wives and husbands of military personnel – see here. The Australian Defence Force has a fact sheet here. This post is dedicated to all my friends who wear, or who have worn, a uniform, and to everyone who has been affected by suicide. Driver distraction is a major cause of accidents on our roads. More research into driver distraction is therefore welcome. 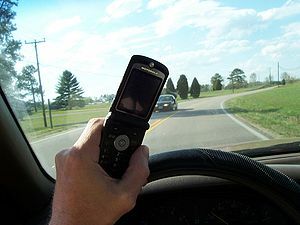 Traditional media available in vehicles, such as radios and entertainment systems, can affect visual attention, and the current use of GPS navigation assistance and personal communication devices have been repeatedly shown to interfere with the primary driving vigilance and motor control task. Such research has informed road authorities to restrict their use, particularly with regard to mobile phone use and texting for example. The introduction of Intelligent Transport Systems has the potential to overload the driver if such systems are not tailored to driver workload according to location, traffic density and other ambient conditions. A more accurate and layered approach to driver workload and attention level can provide a structure upon which information can be conveyed appropriately and distractions reduced or minimised. There are many instances however where use of communication devices in vehicles may actually help in vigilance (for example, long distance driving) and the ability to operate a mobile office whilst driving has undoubted productivity benefits. The problem is that the driving environment can potentially change in milliseconds and cause an overload of the driver’s available perceptual and attentional resources. The aspect of appropriate speed limits in long distance driving could also be re-addressed. 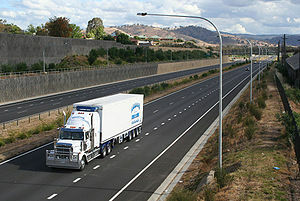 There has been a spate of single driver transport accidents on the Hume Freeway recently which have had tragic (and potentially disastrous consequences). 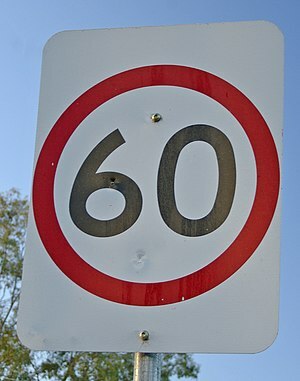 Apart from driver fatigue and scheduling issues, is the posted speed limit too low to maintain sufficient driver arousal levels? Long boring drives at inappropriately low speeds could also encourage further distraction (such as use of mobile devices) perhaps even increasing the potential danger. This may not be ideal given that the severity of an incident at 100kph is still as catastrophic as one at 110 or 120kph. If speed kills, then surely it follows that the only safe speed is zero. There is a balance between the efficient movement of goods and the consequences of error. Does this mean that interstate transport needs to travel at 40kph so that any incidents that occur are relatively minor? Would this result in more incidents because drivers would be bored out of their minds whilst blowing out transport schedules? There needs to be an open discussion by professionals in the field as to assessment of all of the risks rather than the current thinking that slowing traffic is the only solution as seems to be the case at present. The posted speed relative to the road design and condition could be reducing driver arousal and performance level below the desired optimal range. The Human Machine Interface (HMI) remains central to safe and effective vehicle operation as the information it provides will allow the driver to retain effective control of the vehicle and help influence or even determine their behaviour. Information flow to the driver must be intuitive, readily understood, timely, and be responsive to driver attentional and distraction state. Unfortunately, there are many who have very little understanding of this requirement. For example, presentation of the “bells and whistles” mentioned in this proposed level crossing warning system may actually distract a driver at the worst possible time and cause more problems than the technology is trying to solve. Human scientists understand the many facets that determine the best way of presenting information so that it is perceived, recognised and acted upon in an optimal manner. If the proponent of this system had engaged human factors expertise in the first place or heeded their advice he may not have made such ill-considered comments. Perhaps he may get some guidance as to the importance of listening to human factors professionals when he presents his data at the upcoming ITS conference in Vienna. It would be good to have some critical assessment by any human scientists attending this conference of any actual (rather than derived or contrived) interactions that occurred during the trials which were conducted of this system. The area of human interaction with technology is very complex and simplistic approaches (such as further unrestrained visual or auditory “bells and whistles blaring”) will rarely be the best solution. All the more reason to design and test proposals from a human science standpoint, heed the results and incorporate them into any proposed system. Which underscores the importance of the many respected facilities that incorporate human science input as a keystone of their research in ITS applications, vehicle design and driver behaviour. Hopefully their research findings are weighted appropriately (ie. seen as valid and reliable) by the governing authorities as compared to those of the “bell and whistle” variety. Human factors covers many facets of human behaviour and interaction with the natural and constructed environment. The issue of how to ensure that these environments remain safe for the younger and older members of our society is a case in point. 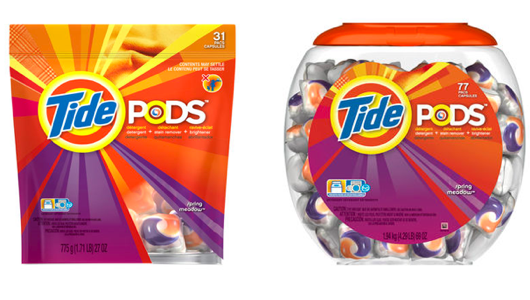 Recently, a dishwashing detergent was packaged so that even adults could easily mistake them for food. Young children have ingested these dangerous chemicals as the packaging is very colourful and resemble candy or lollies. The harm done to these children and the increasing toll on the health system would surely outweigh the financial benefit to the manufacturer of this product, who obviously either didn’t think or was blissfully unaware of the consequences. Perhaps the unwanted publicity of the dangers of this product, especially if there is an impact on their bottom line, may encourage them to design their products with more care in future. All too often, human behaviour is not taken into account in the design of products. No amount of urging customers to “be careful” will eliminate the danger posed by badly designed or labelled goods. It is better business to design them properly in the first place. When I was involved in training service and police dogs, there were five principles which used to guide us. Firstly, Knowledge was required – if you didn’t know what you were doing, it made it difficult for the canine to know what was required. Secondly, Repetition showed the required behaviour. Thirdly, Patience in attaining the goal was essential. Praise and Correction were the final principles, the former being more desirable and effective. It seems that in the case of the design of the products described above, the first fundamental principle was lacking, as is commonly the case in many other applications where the knowledge and expertise of the human scientist is not sought or ignored. This translates to the whole range of human applications. Human scientists can provide critical knowledge but this fact is not often understood and can have great impact, both in terms of time and budget when ill informed decisions are made, and especially when the younger and older members of society are involved. As has been previously posted, the initial BMW iDrive was a product which was installed in vehicles that the older demographic was more likely to acquire, which compounded the problems of poor initial design. The older drivers did not have the digital savvy or knowledge that their offspring or grandchildren had and therefore the whole concept was flawed from the outset as it did not take into account the basic metrics of the human operator. Of the five principles that I listed above, Patience is in short supply when you are battling traffic! Which leads to the point made by the authors of the pieces – consideration of the special needs of the younger and older demographic is central to good design and outcomes going forward. Simulation to help driver training? Researchers are using driving simulators to help inform new drivers of the pitfalls of texting whilst driving. Use of mobile communication devices is probably approaching the danger level of driving under the influence of drugs or alcohol or fatigue and is fast becoming one of the major problems on our roads. I have come across patents for devices which display SMS, Facebook and Twitter onto the windscreen of a vehicle. I am amazed that the inventors have no perception of the dangers that they are advocating in their quest for a buck. The main problem is that we are able to multi-task within the cognitive capability that we possess and in many driving situations we are able to ‘get away with it’. We are not aware of how this affects our driving ability until an emergency situation occurs which approaches or exceeds our sensory, perceptual, cognitive or motor control limits. This can happen in milliseconds. Unfortunately, when allied to the design limitations of the vehicles, this can be deadly. For example, a major manufacturer has adopted the use of an LCD head down display for all of their vehicles. As I have posted previously, this will require the driver to take their eyes off the road and use focal vision to control fine motor movement to touch the right portion of the screen. Pretty poor design if you ask me – more likely a cost control measure without any idea of the consequences. Obviously no human science input there, similar to BMW’s original iDrive. Allied to this is a curious standard that has been adopted that a function should not require a driver to take their attention away from the driving task for more than 3 seconds. Wouldn’t a better design allow the driver to control things without having to take their eyes off the road? It is informative that BMW’s current system actually incorporates haptic feedback to achieve this result. Perhaps we need some special driver training and further reinforcement on the dangers of texting whilst driving. Or be informed by the latest research in human behaviour arousal and performance monitoring to help determine when the driver can perform tasks. Given that vehicles now communicate with mobile devices using Bluetooth or similar protocols, any SMS, Facebook or Twitter feeds could be disabled whilst in the vehicle or tailored to operate when the vehicle is stationary, thereby reducing distraction which is acknowledged as the major cause of accidents. This is where ITS can assist if it is designed to integrate with the human who will remain in executive control of a vehicle for some time yet, despite the advances in automation. All of which demonstrates that human scientists should be involved at the outset in the design and development of the HMI, and inform the powers that be on how the various technologies should be managed to reduce the dangers on our roads. It would certainly be an improvement on the current situation. The ever increasing ability and availability of drone technology will have a major impact on defence and law-enforcement operations in the future. 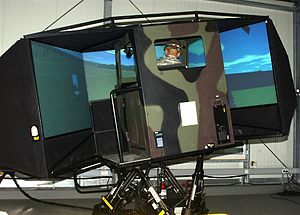 Where capabilities of platforms used to be defined by the ability to deploy various assets within the capability of a class or type of vessel ( in naval operations for example, a carrier vs an offshore combatant vessel), the latter smaller platforms may soon be able to deploy an aerial capability which could previously only be provided by the larger and far more expensive vessels. As noted in the article, this can have far-reaching consequences for navies where the majority of tasks are routine patrol and ‘constabulary’ operations of protecting sea lanes and territorial integrity. With drone technology, a single smaller platform could perform tasks which currently require several more capable and expensive assets (for example, the patrol of a shipping route subject to piracy). So the design of the HMI will determine how successful this shift in technology will be. As has been seen in Afghanistan, the ability of the remote operator of a drone aircraft to gain and maintain situational awareness to perform their mission without unintended consequences will greatly depend on the amount, type and quality of information available to them and what range of tasks they need to perform. Many combat aircraft have a crew of two due to the separate and demanding pilot and SA/engagement tasks, and military drone strike operations seem to reflect this crewing model. 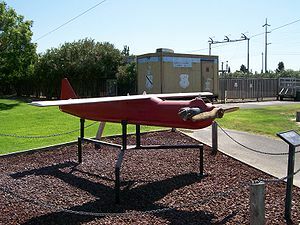 Perhaps this model is a historical legacy which may also change in the future as drones dispense with the constraint of having to fit the aircrew into the platform. This may cause a shift in emphasis of the Human Factors and Ergonomics discipline. 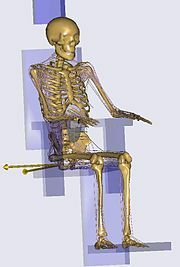 A lot of effort was traditionally expended in the physical anthropometric ergonomics aspect of the human in the loop probably because it was so obvious. 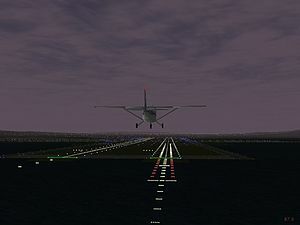 For example, range of movement, posture etc within a cockpit could be calculated and the 95thpercentile adopted as a standard which could then be used to determine interaction within the crew space available in the airframe. As we all know, engineers love standards, so perhaps this aspect was pursued to the detriment of equally or possibly more important aspects of the human/machine interface. Similar adoption of standards cannot be readily applied to much more esoteric aspect of neurological interaction with a system. For example, although it provides a very good framework to predict and test how an operator will interface with a HMI, Multiple Resource Theory doesn’t provide the level of certainty available from physical ergonomic models. Each aspect needs to be tested according to the many variables which could arise and the neural adaptability inherent in the human which makes them so important to the command and control function. That’s why the non-physical human interaction field is so interesting to us practitioners (and perhaps perplexes many physical scientists who cannot seem to grasp the notion that humans cannot be treated as a simple probability or linear contributor in their decision models). So while drone technology will enhance capability, it will only do so effectively if there is a requisite paradigm shift in how the interface is designed to incorporate the more difficult ‘neural ergonomic’ aspects described above. Perhaps we can finally move away from the tyranny of standards which are sometimes adopted without further thought for the equally important sensory, perceptual and cognitive aspects which we pesky Human Factors types are constantly trying to highlight to our seemingly dullard peers in other fields, sometimes with, but unfortunately many times without success. You are currently browsing the archives for the Human Factors category.